Team: Henri Comrie as director of Stauch Vorster Architects (Cape Town). 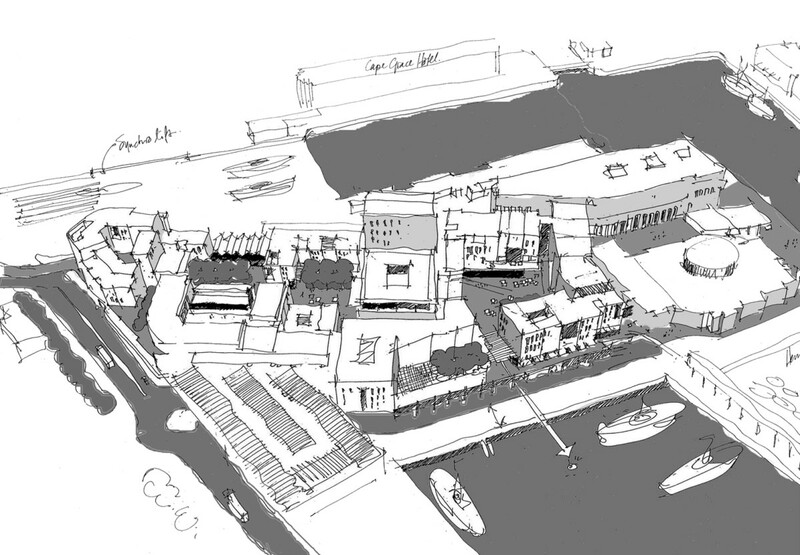 Urban design framework for the regeneration of a derelict site within the working docks of Cape Town’s historic port. A mix of land uses is arranged around a decommissioned grain silo and the design provides visual access to the basins of the working harbour. The framework also aims to achieve high levels of pedestrian accessibility.